Animal Wildlife | Quoll | The quoll is a medium-sized marsupial, natively found in parts of Australia, Papua New Guinea and Tasmania. 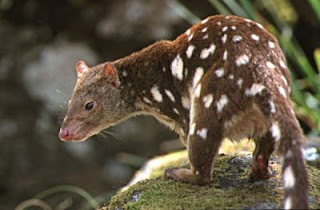 The quoll is often known as the native cat, due to the cat-like appearance of the quoll. Quolls are found occupying woodland, shrubland and grassy habitats across Australia and New Guinea. Although quolls have been seen climbing trees, the quoll tends to live life on the ground. The quoll is a nocturnal animal meaning that it spends the nights hunting and the daytimes hours resting. Unlike many other nocturnal mammals, the quoll enjoys to spend the sunlit days basking in the heat rather than hiding in a crevice or underground. There are six different species of quoll, found across Papua New guinea and Australia. The Bronze quoll and the New Guinean quoll are natively found on the tropical island of Papua New Guinea. 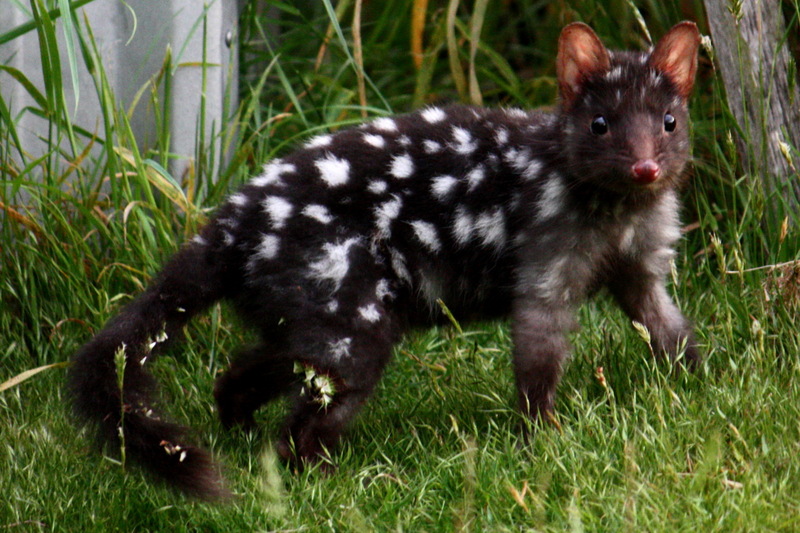 The Western quoll, the Northern quoll and the Tiger quoll are all natively found on the Australian mainland. 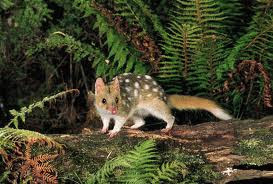 Although the Eastern quoll was originally found on the Australian mainland, they are more commonly found on the island Tasmania. 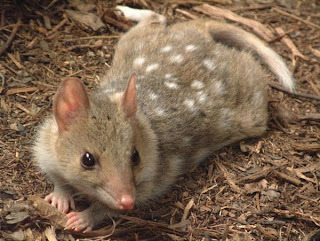 Although the quoll is an omnivorous animal, the quoll is has a predominantly meat-based diet. Quoll hunt during the darkness of night, searching for small mammals, birds, small reptiles and insects. The quoll also feasts on nuts, grasses and fruits when they are available. The quoll (particularly the tiger) quoll is an apex predators in it's environment as they are one of the largest species of carnivorous marsupial in the world. The main predators of the quoll are generally human hunters, large snakes and crocodiles. The quoll is a marsupial, meaning that the female quoll has a pouch on her tummy for her young to develop in. 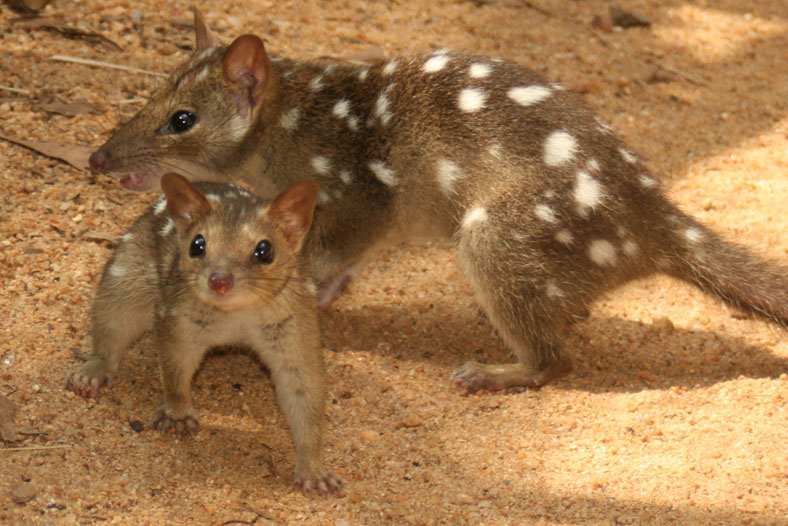 The baby quolls are born after a gestation period of just a few weeks, when they crawl up into the mother's pouch. 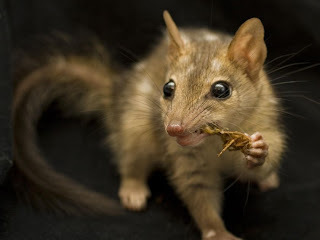 The baby quolls are nursed in the pouch of the female quoll for about 2 months but are not fully independent until they are nearly 6 months old.